You Could Claim the Iron Throne in this Game of Thrones Scavenger Hunt! The final season of HBO’s hit fantasy series Game of Thrones is fast approaching — the first episode of the 8th season airs April 14th — and HBO has gone all out to promote the end of the epic saga of the Starks, the Lannisters, Daenerys Targaryen, and the numerous other families and factions vying for the Iron Throne. But as it turns out, they’re not the only ones hunting for the throne. 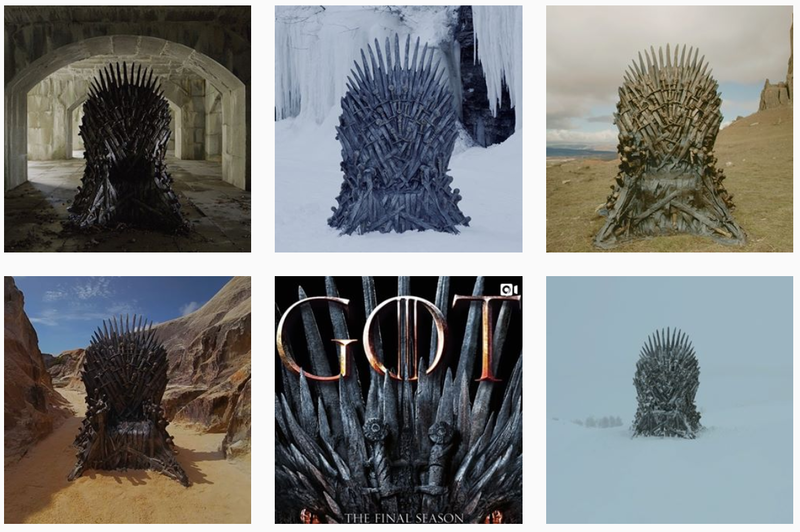 Fans around the world have been puzzling out the locations of replica thrones hidden across the globe over the last week. As news of this incredible scavenger hunt started to go viral earlier this week, four of the six thrones had already been located. Scattered across Europe were the first four thrones: Björkliden, Sweden; Puzzlewood, England; Atienza, Spain; and Beberibe, Brazil. The Throne of Ice was yet to be discovered, and there were no hints yet as to the possible location of the sixth and final throne. But as of yesterday, the Throne of Ice was found. Tucked away in a small mountain town in the Canadian side of the Rocky Mountains, the Throne of Ice was discovered by Birgit Sharman and her husband Kevin in Tumbler Ridge, British Columbia — the first throne found outside Europe. HBO is taking the promotion pretty seriously, it seems. Two men wearing fur coats, presumably of the Stark clan, were waiting on the throne to be found and put a crown on Birgit’s head that she was allowed to keep and which she showed off via her Facebook page. One throne remains to be found. But where? And what surprises await those who find it? 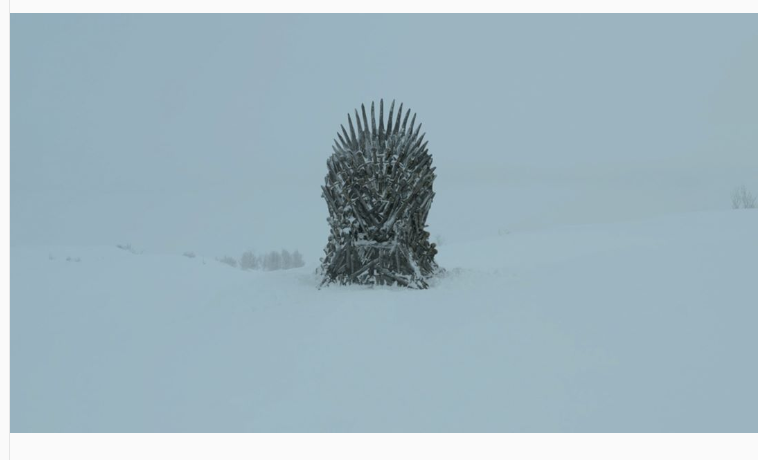 Its location is unknown for now, but one thing is for certain: fans won’t soon forget this amazing moment when the show brought a little bit of Westeros to life. 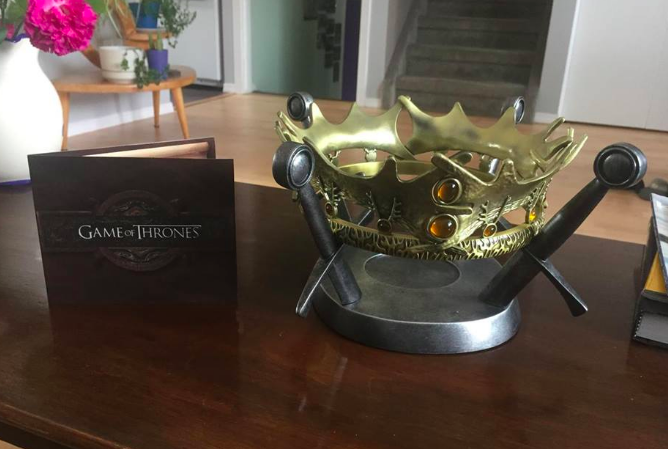 Update: The sixth throne was found! Located in Fort Totten Park, NY, the Throne of the Crypt will be left in place until April 1st, so if you’re looking for a killer photo opportunity, you’ve got it. 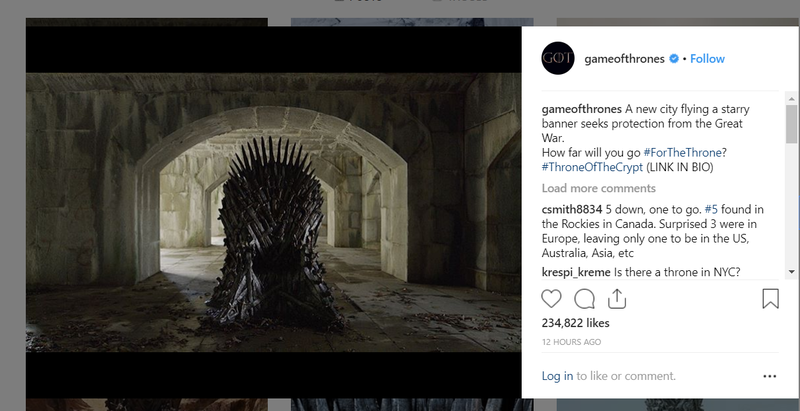 The Game of Thrones Twitter page posted this photo about half an hour ago to indicate the sixth and final throne had been found.